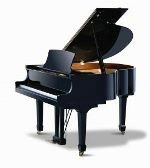 A good , compact grand piano in a bright black case. Solid spruce soundboard. 16 ply beech wrestplank. 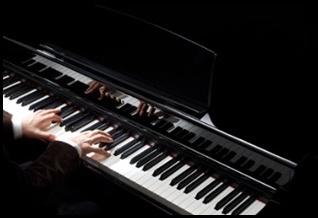 Manufactured by the Pearl River Piano Company, now established as China’s largest piano manufacturer. Sold new in 2007, and has been used to furnish a show home only. Currently undergoing preperation for sale. A very fine upright piano, in a French walnut case featuring marquetry panels on fall, top and bottom door, with carved scroll columns beneath the keyboard. Manufactured in Paris, circa 1924, Gaveau being one of the three main piano manufacturers in France, along with Erard and Pleyel. 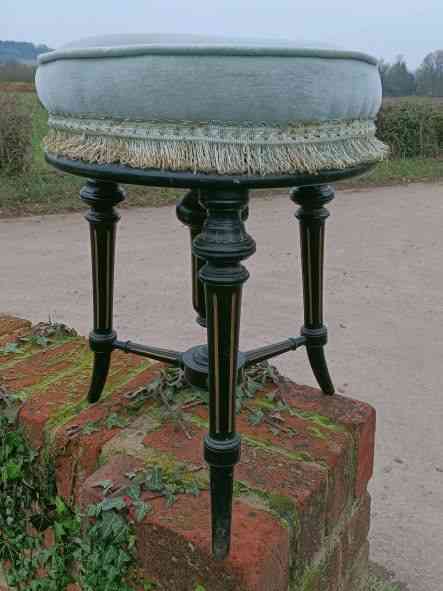 Action fully reconditioned, and offered in first class order. 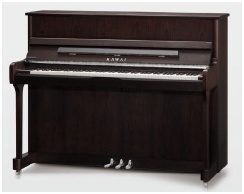 A K2 upright piano in a poly. black case and offered in 'as new' condition. Sold new in the U.K. in 2007. One previous owner, known history. 7 1/4 octave keyboard. 3 pedals (½ blow, practice and sustain). Overstrung with a full iron frame. Solid spruce soundboard. Hard maple wrest plank. Nickel plated wrest pins. Braced back. inclusive of VAT, delivery to ground floor, 1st tuning and 5 year guarantee.